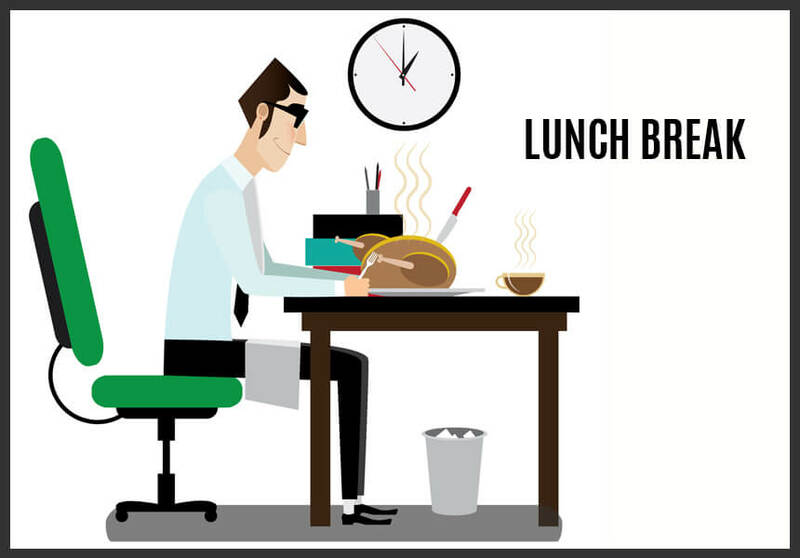 Ever notice that your employees are always eating lunch at their desks or failing to take regular breaks? As an employer, when you notice this, you probably appreciate their dedication and like to see such loyal employees. But, what you may not be aware of is the fact that a lack of quality break time could be making your employees less productive, and thus your business less profitable and successful. Business News Daily states that more than 85% of employees noted they feel they would be significantly more productive throughout the day if they took more regular work breaks, and that 55% of those surveyed do not feel comfortable or feel guilty leaving their desk throughout the day. We know that you want your employees and business as a whole to be as productive as possible. With that being said, here is a step-by-step guide to helping employees take breaks and make the most out of them. Show employees you expect them to take breaks – given the statistic above about employees not feeling comfortable leaving their desks, the first step in effective breaks is showing employees that you want them to be taken! 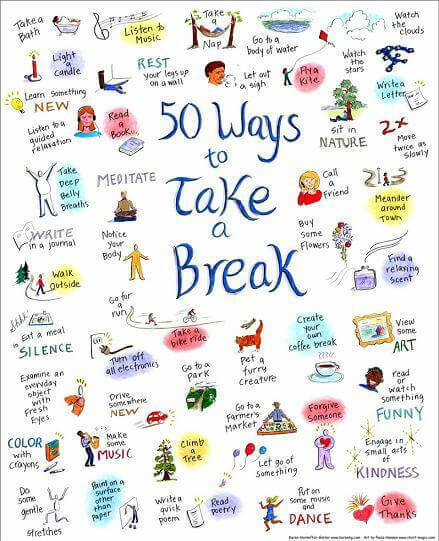 Lead by example and take regular breaks yourself, and verbally encourage employees to do so during the day. After all, they can’t recharge if they are sitting at their desk for hours upon hours! Encourage socialization – encouraging employees to socialize during break time is a great way for them to take a mental break and recharge and it also promotes the building of a community. Encourage fresh air – fresh air is a great way for workers to clear their minds and to make the most out of a break. Taking a walk on a nice day or simply going outside for a breather could make all the difference in their energy and productivity levels for the remainder of the day. Encourage them to get some sunshine and fresh air when they can. Provide healthy fuel – stocking a break room with snacks and drinks that will help them refuel their bodies and brains is a great way for break power to be maximized in the office. Fresh fruit, vegetables, protein bars, almonds, and yogurts are all great snacks and coffee, tea, and water with fresh fruit, mint, or cucumbers are all drinks that will refresh employees and keep them on their toes. Make it a group thing – to reduce employee guilt in taking a break, do it as a group! Having a standing break time for the office as whole or for individual teams ensures that breaks will be taken and that people will have the time to recharge and take a mental break. PEOs are there to help you make your office as productive as possible. They also aim to help keep employees happy and healthy. To find a PEO that will best understand and work with your organization, contact us for the right help and tools to be effectively matched.